Use this Antique Linen Distress Reinker to Refresh your Ink Pad and add that Vintage Look to your projects. 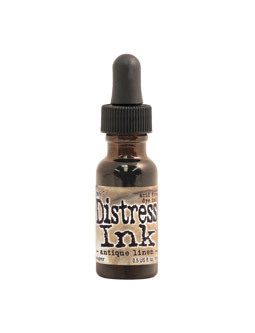 Look for the Distress Ink Pad that is sold separately if this looks like a color that you would like to add to your "supply list". Product by Tim Holtz / Distress Inks / Ranger.